Officially launching this Friday, the Barossa Valley Chocolate Company is set among vineyards near Tanunda and comprises a chocolaterie, cellar door, ice-creamery and 150-seat café – all located under one roof in a 1375sqm building designed by Barossa-based JBG Architects. “It’s ‘Barossa modern’,” company CEO Chris Day says, when asked to describe the building. Barossa Valley Chocolate Company was developed by the FABAL Group, which manages more than 1500ha of vineyards in SA, WA and Victoria, and of which Day is also CEO. 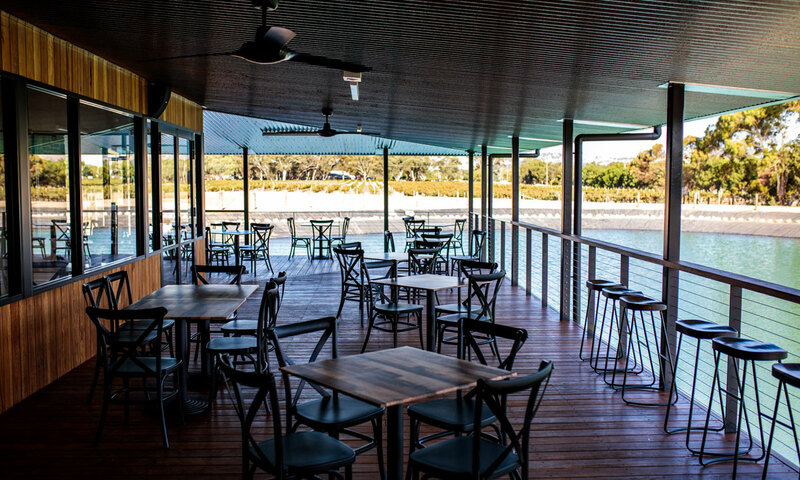 The new cellar door located within the Barossa Valley Chocolate Company will showcase FABAL’s Vineyard Road wines, some of which are made from grapes grown in the surrounding vineyards. Day says a total of seven chocolatiers are employed in the chocolate kitchen, led by Amy Sajinovic, who has previously worked at places such as Koko Black and Yarra Valley Chocolate Company. 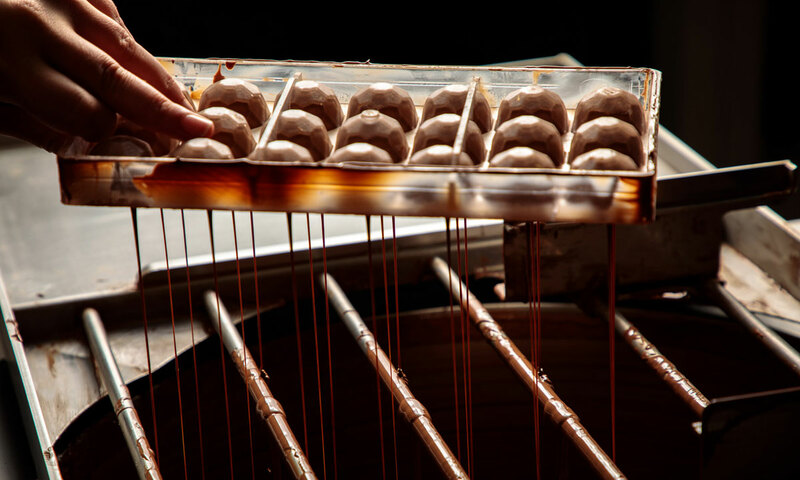 The chocolaterie plans to produce around 50 tonnes of chocolate a year initially, and is launching with 250 different products made from dark, milk, white and ruby chocolate. There’s everything from bars infused with flavours such as mint and cranberry, to truffles, rocky road, choc-covered honeycomb, chocolate frogs and other novelty items. “We’ve coined the words ‘fun for all’, which means whether you’re four years old or 84 years old, you still enjoy chocolate – and you don’t want to take it too seriously,” Day says. Visitors to the Tanunda venue will be able to watch the chocolate being made through viewing windows in the retail area. There will also be a range of interactive activities on offer, including chocolate-making classes and, in the cellar door, chocolate and wine-matching experiences. Day says the gelato being served by the company is also made on site, while the café – named Benni’s – offers a menu of family-friendly fare ranging from pizza and burgers to calamari and steak. FABAL bought the Tanunda property in 2016, but the seed for the Barossa Valley Chocolate Company was planted in Day’s mind more than 10 years ago, when he was visiting one of the group’s vineyards in Margaret River. Situated in the middle of the vineyard was the independently owned Vasse Virgin skincare business, which he was told was the area’s top tourist attraction. Second was said to be the Margaret River Chocolate Company, which he has visited regularly with his family. “I parked that one in the back of my brain … then about seven or eight years ago there was a very bad year for the wine industry – the 2011 vintage – and we as grape growers got severely smashed by the poor crops that were caused by too much rain after seven years of drought. 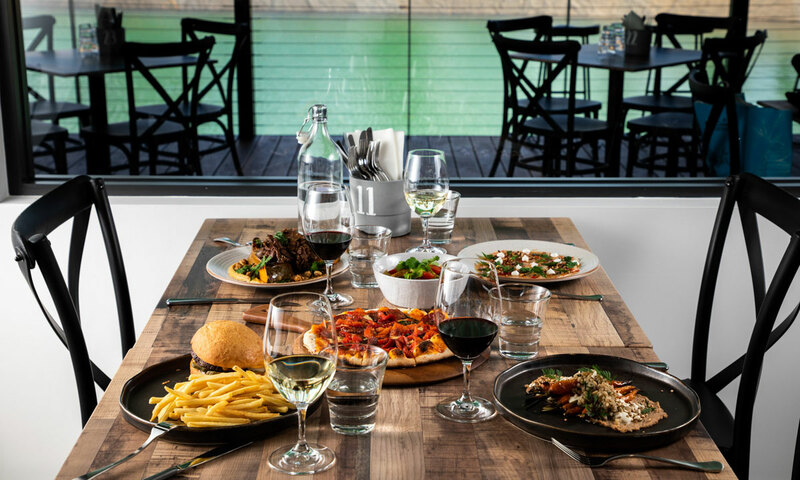 FABAL diversified into agritourism, and when it opened the Vineyard Road cellar door at Langhorne Creek three years ago, it decided to create a point of different by including a retail outlet for Vasse Virgin skincare products. “Then about five years ago we came up with the chocolate idea, but we wanted to sell our Vineyard Road wine with our chocolate, so in 2016 I bought this properly and we started planning seriously,” Day says. Day and his wife Sandy have travelled extensively overseas – from the Napa Valley wine region of America to the Argentinean alpine town of Bariloche, which is famous for its chocolate – gathering inspiration for products and experiences at the Barossa Valley Chocolate Company. The chocolate wall – a flowing chocolate fountain built into the wall behind the chocolaterie serving counter – was inspired by the Venchi Cioccolato e Gelato store in Florence, Italy, while the idea for an A-Z of drawers full of solid chocolate letters came from Bruges in Belgium. Day says their most memorable experiences were in Bruges, a well-known international chocolate hotspot. “Within 500m of the town square we were able to experience about 15 or 20 different chocolate shops … we felt like kids in a candy store because we saw so many different ideas. While the Barossa Valley Chocolate Company’s official launch is scheduled for Friday, the venue had a “soft opening” a week and a half ago, and Day says Barossans are already embracing the new attraction.